Mutsumi Imai received her doctoral degree (Ph.D. in Cognitive Psychology) from Northwestern University in the USA in 1994. Her advisor was Dr. Dedre Gentner. She joined the faculty of Keio University as an Assistant Professor in 1993. Since 2006, she has been Professor of Psychology at the Faculty of Environment and Information Studies, Keio University. Imai’s goal is to understand how children build up their lexicons and how universal and language factors affect lexical development. Imai’s research interests include four topics that are deeply interwoven with one another: (1) How children learn language; (2) The role of language in conceptual development; (3) The relation between language and thought (in cross-linguistic contexts) in children and adults; (4) The relation between speech sound and meaning (sound symbolism) in language, and how sound symbolism scaffolds language development. MI has studied lexical development through the full scope of development—from very early stages, in which children infer meanings of words by fast, efficient but rough mappings, to later stages, in which children’s word meanings evolve to rich, adult-like representation through restructuring of the whole semantic domain. On the early end, she studied infants’ sensitivity to non-arbitrary sound-meaning relations and how this sensitivity is used in establishing the word-referent associations. MI has also investigated lexical acquisition in a cross-linguistic perspective. For example, she studied how young children learn novel nouns and verbs. In this work, she compared Japanese, Chinese, and English-speaking children to examine how the linguistic properties of a child’s native language affect his or her pattern of learning. She has also studied how grammatical categorization systems such as classifier grammars and gender-marking grammars affect how children and adults form categories, construe similarity, construe individuation of entities, and reason inductively from prior knowledge, by studying Japanese-, Chinese-, German- and English-speaking children. MI has published over 90 papers in English and Japanese in referred journals and book chapters, and written or edited 11 books in Japanese. She has given over 80 invited lectures and plenary talks at conferences and colloquia within Japan and internationally. In July 2016, she has served as a lecturer for the International Summer School of Cognitive Science held at the New Bulgarian University, where she gave intensive lectures for young scholars from many countries. She has also given many lectures on language, language development, and language education for the non-academic general public. 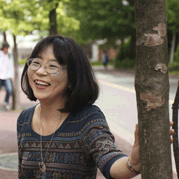 She has been organizing a series of workshops that aims to bridge findings of basic research in Cognitive Science and educational practice (ABLE—Agents for Bridging Learning and Education practice), whereby she invited scholars of Cognitive Science outside Japan and set up lectures and discussions for school teachers, school administrators, company executives and managers, and general non-academic audience. She has also written books on the relation between language and thought and language acquisition, as well as on learning and knowledge acquisition for non-academic audience. These books have covered by newspapers and magazines with great reviews and have been translated and published in Taiwan, Mainland China, Korea, and Czech Republic. MI has received awards from the Japanese Cognitive Science Society, the Japanese Society of Human Development, and the Japanese Psychological Society for her distinguished academic achievements and international contributions. She has been an associate member of the Science Council of Japan since 2007, and served on a number of government committees concerning scientific research, funding and education. She is a Fellow member of the Psychonomics Soceity, an Executive Board member of the International Association for the Study of Child Language (IASCL) and a member of the Society of Research in Child Development and the Cognitive Science Society.